Have you stocked up on healthy snacks for your New Years diet resolutions? Since healthy snacks can sometimes be a little pricey, make sure you check out this $3,500 cash sweepstakes! 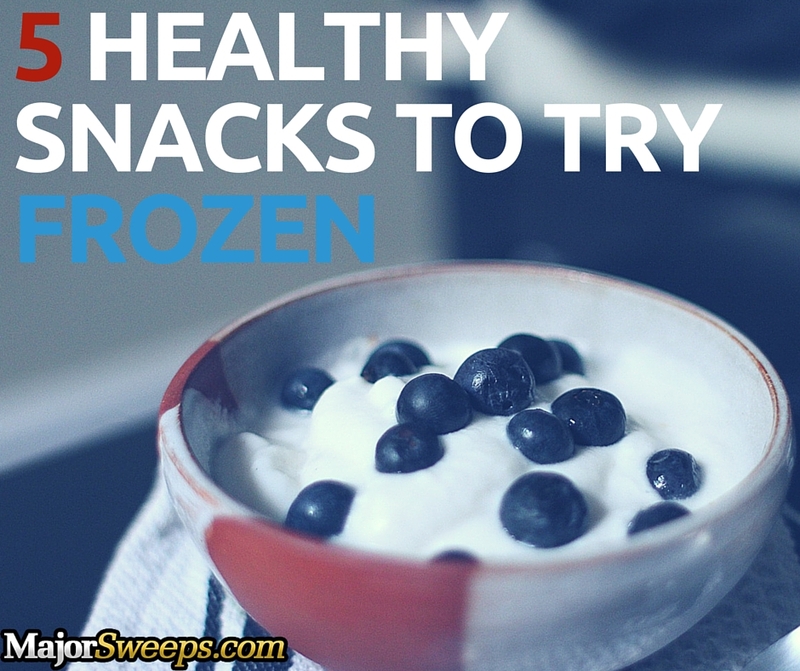 If you’re bored of your healthy snacks already, you can make them taste even better by tossing ‘em in the freezer. The decreased temperature just does something magical! Here are 5 healthy snacks you’ll want to let chill in your freezer instead of the cupboard. Grapes: Grapes are already a great snack, but putting them in the freezer turns them into an addictive treat. When the juices inside freeze up, the grapes get just a little sweeter, though if you’re freezing green grapes they get an almost sour candy-like taste. Pick your poison! Yogurt (not froyo): Want an alternative to ice cream? Look no further than your regular dairy aisle yogurt, which when frozen takes on a very different texture than that of the froyo you’ll find in the freezer section. 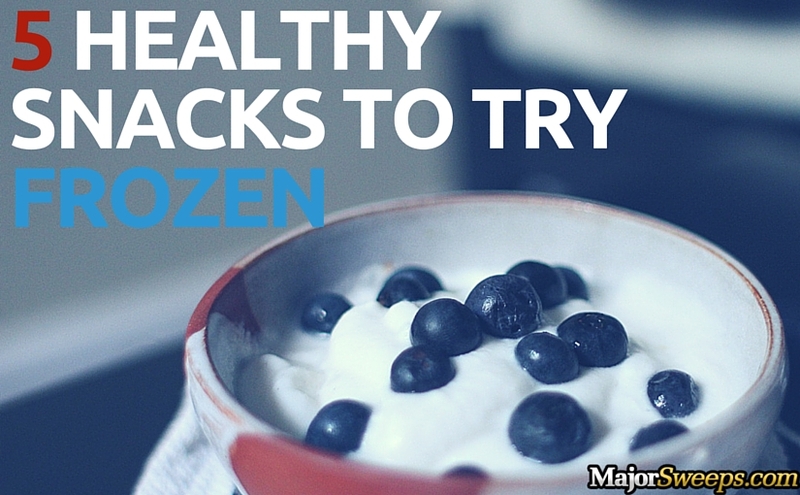 You could even throw on some blueberries or other fruit toppings for a healthy add-in! Pudding: Maybe pudding is more your style? Whip up a batch of low-fat instant pudding and stick it in the freezer for a yummy frozen treat. Even kids will love this healthy treat! Watermelon: Another fruit that goes from good to great when frozen, watermelon becomes even more refreshing when chilled. Dice up a melon into large chunks before freezing; when they’re all nice and cold, set them out on a plate with some toothpicks for easy snacking that won’t freeze your fingers! Chocolate dipped real-fruit snacks: It may sound impossible to make chocolate any better than it is, but here we are. Those real-fruit snacks covered in chocolate are already a scrumptious and fairly healthy alternative to some of the more traditional “snack foods” like chips. But they taste way better (just like all chocolate does) when left in the freezer for an hour or so. Are you hip to the frozen snack phenomenon? 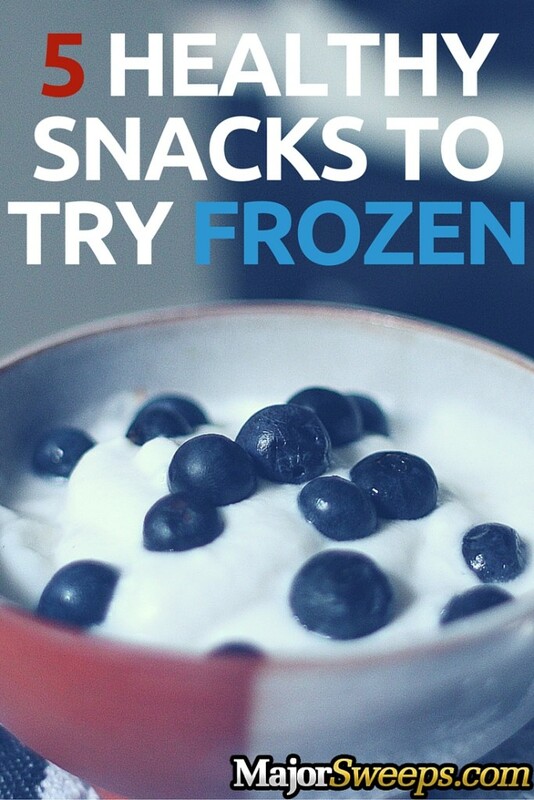 Share some of your favorite frozen snacks with us over on Pinterest and Facebook! And don’t forget to sign up for our $3,500 cash sweepstakes!